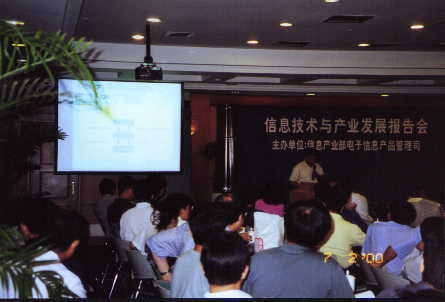 Organized by the Department of Electronics and Information Products Management of the PRC Ministry of Information Industry, an invited seminar series were given, on July 3, 2000, by 8 SCOBA delegates to an audiance of 180 people, most of which are technical personnel from China's major telecommunication businesses and government officials. Seminar Site at the hotel. 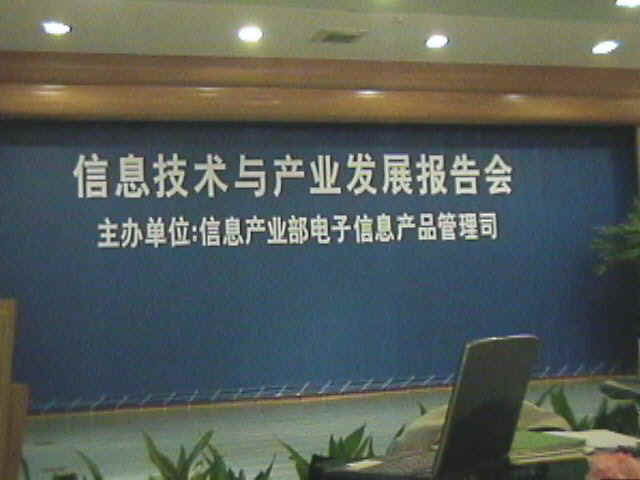 报告会会场. 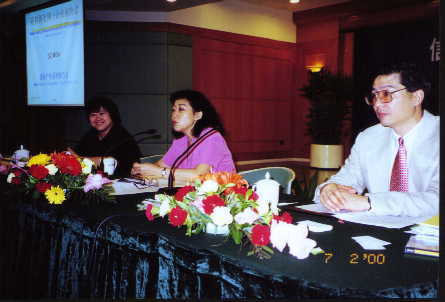 At the front seats, from left: Dr. Jin Huang (SCOBA), Ms. Zhang (department director of MOII) and Dr. Dongping Zhu (SCOBA). 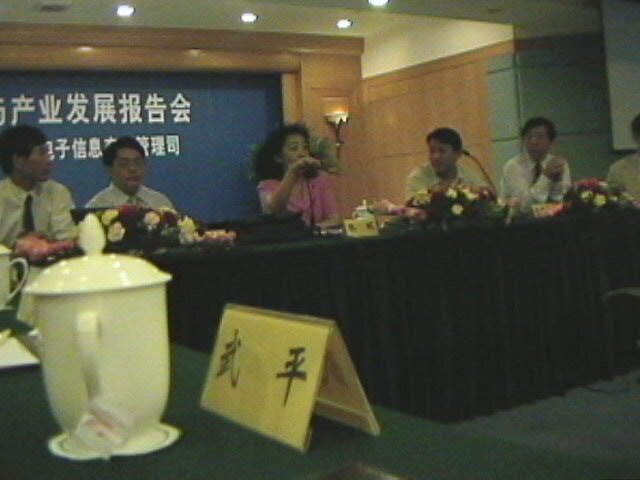 Ms. Zhang announces the government decree on promoting China's IT industry, released 3 days ago. 近200名国内同行与会. A SCOBA speaker at the Seminar on Information Technology and Industry. 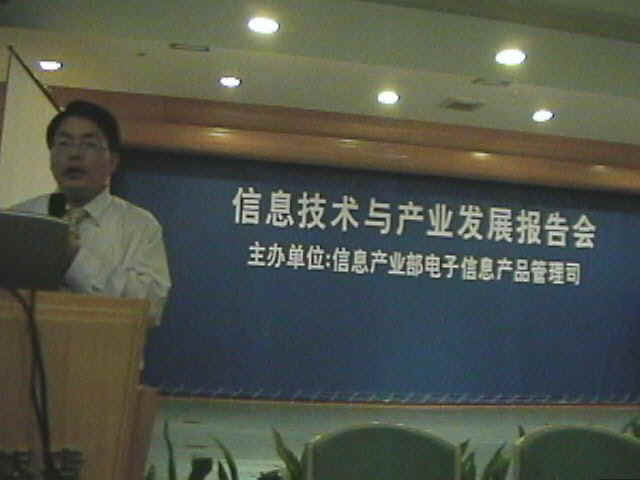 杨阳博士介绍光通讯.. James Yang speaks on optical fiber and telecom. Download of presentation slides - please send email if you need a copy.